People expect their basement waterproofing system to keep their basement dry day after day, year after year but without an annual inspection of the waterproofing system can you really rely on your sump and pump unit to keep your basement dry? 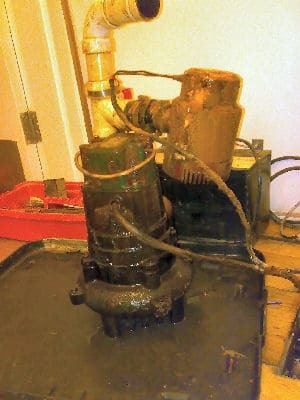 At the heart of a Timberwise basement waterproofing system is a sump and pump unit. Think of the pump in the same way as you would the engine of a car. To keep a car in good running order it requires regular servicing and so does your pump. To remain effective your basement system needs to be inspected and cleaned regularly – in most cases only once a year. With a Timberwise waterproofing solution the system is designed so that it can be serviced easily. The sumps benefit from easy to remove lids to allow easy access to the pumps whilst the perimeter drainage has inspection ports fitted to allow the system to be ‘flushed’. The Basement Sump & Pump Co are experts in the maintaining and servicing of basement waterproofing systems and are a strategic partner of Timberwise.